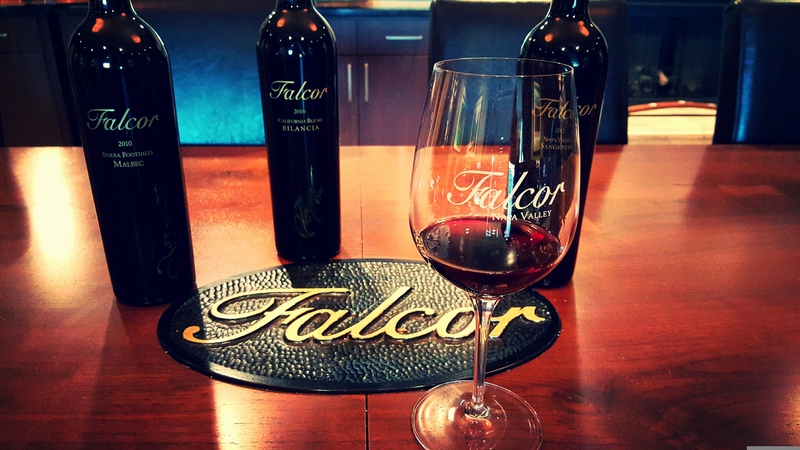 Enjoy our family-owned and pet friendly* tasting salon while tasting 5 current Falcor releases of our red wines. Tastings available Tuesday - Saturday at our Napa winery from 10a - 4pm. $30 + tax per person for 1-6 people (fee per person waived per two bottles purchased), $35 + tax per person for 7-10 people (fee per person waived per two bottles purchased), and $40 + tax per person for 11+ people (fees are not waived with purchase) and advanced reservation & payment are required for 7 or more people (48 hours' cancellation policy). Average tasting time is 45 minutes in the tasting salon. *Well-behaved pets are welcome but we require owners to keep their pets with them at all times and pick up after them outside.